Vermicomposting Harnesses The Pooping Power Of Worms For The Good Of Humanity: Hype Or Real Deal? : Goats and Soda What comes out of the tail end of worms appears to be very good for crops. On small farms and in gardens around the world, a legless invertebrate has been quietly helping crops grow — simply by eating and pooping. That's vermicomposting — using the power of worms for the good of humanity. A growing number of advocates believe this technique can improve soil quality, produce more food to feed hungry mouths and even increase income for some farmers. It sounds too good to be true. Are worms really poised to take the agricultural world by storm? Well, not exactly. For a variety of reasons — more on that later — vermicomposting is unlikely to make a dent in large-scale agribusiness. But for subsistence farmers in rural regions, worm-aided farming can change lives, says Kate Schecter, CEO of World Neighbors, an international development organization that works in 13 countries in Asia, Africa and Latin America. In Nepal and other countries, the organization has helped people save money and invest in worms. "Vermicomposting is not going to solve the world's food problems, that's for sure," Schecter says. "But I have seen it all over the world now very successfully used by small-scale farmers to create healthier soil and healthier crops." They grow more food for themselves instead of having to buy food, she says, and they can generate income as well by selling their produce. Vermicomposting, also called vermiculture, has been around since at least the 1880s and is widespread commercially in many parts of the world, including China, Cuba, India, the United Kingdom and the United States. Interest has been growing steadily, says Rhonda Sherman, a solid waste specialist in the department of biological and agricultural engineering at North Carolina State University in Raleigh, and co-founder of the North Carolina Composting Council. In 1994, Sherman published a fact sheet about how to set up a worm bin at home. Interest snowballed as she fielded growing numbers of calls and emails from people who wanted to know more. In 2001, she held a one-day workshop on large-scale vermicomposting. The latest conference, this June, lasted two full days, involved an international group of participants and included sessions about worm farming to improve soil quality in Mexico and worm fertilizer for the American medical marijuana industry. Sherman says she's now fielded inquiries about vermicompost from people in 107 countries, many in the developing world. Unlike traditional composting, which depends on microorganisms to decompose organic matter and create heat that kills pathogens and weeds, vermicomposting requires cooler temperatures to ensure the survival of earthworms, which do all the work. Inside a vermicompost bin, worms eat both microorganisms and bits of organic material, which can come from food waste, animal manure, aquatic weeds and other sources. Once ingested, those organic materials get ground up by the worm's gizzard and broken down even more by enzymes and microbes in the worm's gut. What comes out the other end is teeming with nutrients and bacteria that are beneficial for plants, along with valuable plant growth hormones and humic acids that enhance plant growth. Scientists are still working out all the details of what makes worm manure so magical. And they are compiling data to back up its effectiveness. Norman Arancon, assistant professor of horticulture at the University of Hawaii at Hilo, has run tests with tomatoes, strawberries, peppers, raspberries and grapes; he and colleagues have found that substituting a portion of standard fertilizer with vermicompost increases yields by 30 percent. They've published the results. One believer in the developing world is Ephrem Whingwiri, CEO of Zim Earthworm Farms. With funding from a Dutch development organization called Hivos, his for-profit company is focusing on small farmers in rural communities. For the past two growing seasons, he and his team have taught people in the Hwedza district to use worms to produce fertilizer from the community's own waste. Some farmers in the area use the worm-produced fertilizer to help grow tomatoes, green vegetables, onions, maize and more. They are also breeding worms to sell back to the company, adding to their otherwise meager income. But Whingwiri says it can be hard to persuade people in Zimbabwe to adopt techniques they aren't used to. 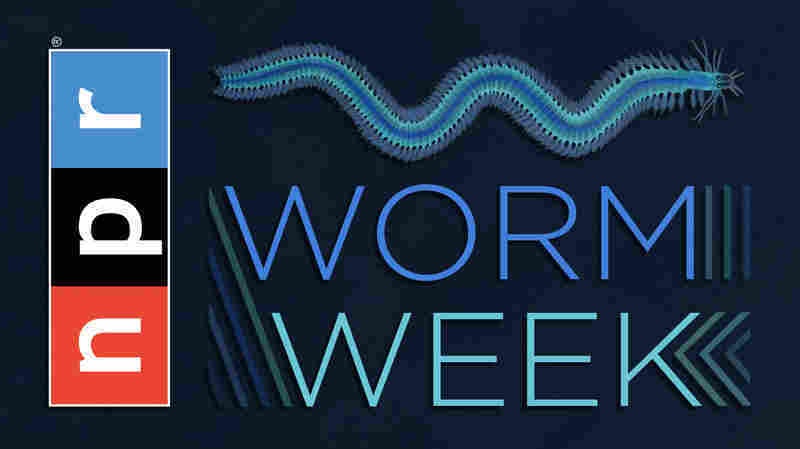 Worms aren't universal miracle workers. It takes a lot of little wigglers to churn waste into fertilizer, Sherman says. And initial costs can add up. In the U.S., a pound of worms — that's about 1,000 of them — can cost $25. Depending on the size of the farm, 100 pounds of worms or more may be needed at the outset. The bins that hold them have to be shallow to prevent heat from building up. So lots of horizontal space is needed. "I've had municipalities with really large amounts of organics contact me and say, 'I've heard vermicomposting is a better way of doing things,'" Sherman says. "Quite often, I talk them out of it." Because the digestive process reduces large loads of waste into small volumes of compost, vermicomposting is likely to make the biggest difference on small scales as one of many solutions, adds Jerry Glover, an agricultural ecologist and fellow at the Leshner Leadership Institute at the American Association for the Advancement of Science in Washington, D.C.
"It's a terrific practice for home gardens," he says. "It just is very, very challenging to rely on something like vermiculture to significantly improve highly degraded soils on large scales." But small-scale farming is prevalent in the developing world, notes Schecter of World Neighbors. And worm believers like Whingwiri remain undeterred. "This will change Africa," he says, "as long as governments take the time to think about earthworms."